After the democratic revolution in 1951, the newly formed parliament of Nepal passed the Private Forest Nationalization Act. The objective of this act was to protect forests from being converted by private landowners into agricultural crops. But, this act brought a negative concept to local forest-dependent communities. Forest owners of larger properties were motivated to cut down their timber and convert it to cultivated land, rather than retain their forests that would be absorbed as National Forest. Because of this, deforestation and forest degradation were at a high rate, and the government policies intended to protect the forests were not successful. During the 1970s, the government realized the support of local people was crucial to protect forests in the country. The Department of Forests in Nepal formed the first Community Forest. Community Forestry is a participatory forest management system, in which government forest resources are controlled, protected and managed by a User Group where forests are an integral part of their farming systems. In Community Forestry, the User Groups are allowed to sell the forest products and to fund a budget for the benefit of the forest and local community. Because of this progressive act, now more than 1.45 million households (about 35 percent of the population of Nepal) are involved in Community Forestry User Groups (CFUGs). About 20 thousand CFUGs in Nepal cover around 7,000 sq. miles of National Forest (DoF, Nepal Data 2018). In three decades of history, Community Forestry has been able to conserve the forestland and biodiversity. Now local users do not have to spend long hours collecting forest products for their household use. Community Forestry practices benefit the social, natural and economic aspects of the rural community in many ways. Figure 4: user group collecting litter from the forest for livestock use (piles in the background. That is me squatting in the front row! Community forestry helps to increase the supply of forest products and fulfill the daily need of the local farmers. Socially, there is a provision for gender and social inclusion in each Community Forestry User Committee; women, low-income citizens, and other disadvantaged groups must be represented on the committee. Community Forestry also promotes income generation and community development activities for local livelihood improvement. As mentioned earlier, Community Forestry was designed to meet the subsistence needs of the local community and to protect the local forest simultaneously. Although, it has been able to fulfill its primary objective, there are many issues at the local and national levels that have shown up in the last three decades that need to be addressed. At the community level, the elected committee members and rural elites of the community direct most of the decision-making and may benefit most from the forests and their funds. Many of the Community Forests are still protection oriented and only a few of them are able to sell forest products to neighboring communities to generate funds from outside of the local area to increase their community fund. Therefore, Government and Non- Governmental Organizations are still investing a large amount of the money to run Community Forestry successfully. At the national level, Community Forestry is still not successful in contributing to the gross domestic product of the nation. CFUGs do not have to pay forestland property taxes or internal forest product sales taxes to the government. It is not doing enough in job creation, timber production and forest based industries development. A national newspaper mentions that, “a large number of trees die and decay in the forest, while over eighty percent of the country’s timber is imported from other countries” (The Himalayan Times, 2016). This is obviously not good for a country that is 40 percent forestland. In 2018, Nepal is endorsing its new constitution based on one federal, seven state and 753 local governmental systems. How will Nepal address Community Forestry regulation in this new governmental landscape? In Nepal’s new political system, local and state government must decide how to capture the benefits of forest products. The state government believes that they own the state forest and they should collect all taxes and revenue produced by the CFUGs. Officials at the Federal level of government also feel that they should get some percentage of revenue from these Community Forests. In a nutshell, timely management of these issues is very important to the continuous success of the world’s most successful community based forest management program. I think government, local forestry users and related stakeholders should have a roundtable discussion for a solid output, which will maintain local forest users’ rights and provide economic benefits at the local and national levels in Nepal. What an awesome story, if for no other reason than it gives me a better appreciation for a forest that I would not have thought of before. It is neat to see a community coming together to manage their forests. I also appreciate knowing that other place in the world have the same issues as we do in how to tax forests and who should get the tax dollars. Thank you for the insight into a new culture for me. Manij, thanks for illuminating the role of society in Nepal in preserving valuable forest resources. The stakeholders in the future of Nepal’s forests are many and it’s fascinating to know about their interactions, the successes, and the challenges to come. 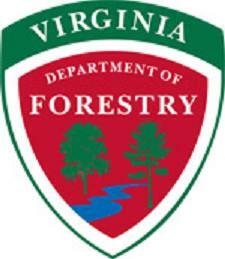 Glad to know that you are now on Team Virginia! Manij, Thanks so much for sharing this. It’s very interesting to learn about what other countries are facing terms of forests and other natural resources.